(Bloomberg) – Zimbabwean President Emmerson Mnangagwa skipped the carnage by traveling to Moscow as protests erupted across his country Monday, leaving 24 people injured and five possibly dead. The protests, which spread from the capital, Harare, to Zimbabwe’s second city of Bulawayo and some smaller towns, followed the government’s decision to increase taxes on fuel, more than doubling the price of the already scarce commodity and making it the world’s most expensive when compared to prices quoted by GlobalPetrolPrices.com. The Zimbabwe Association of Doctors for Human Rights said 13 protesters were treated for gunshot wounds on Monday. NewsDay, a Harare-based newspaper, reported the same organisation as upping the number of injured to 24 and five killed during the demonstrations. The opposition Movement for Democratic Change said in an emailed statement its headquarters in Harare were broken into Monday night and set ablaze by unknown assailants. "We are protesting because it's come to a time where things are hurting. People are suffering." Mnangagwa’s trip to Russia was planned before the protests erupted. He’s also scheduled to visit Kazakhstan, Belarus and Azerbaijan before flying to Davos, Switzerland, in an effort to raise investment for his economically blighted nation. His absence leaves Vice President Constantino Chiwenga, a retired general, in charge of the southern African country. Security Minister Owen Ncube told the state-controlled Herald newspaper that the MDC, non-governmental organisations and civil-society bodies were to blame for Monday’s violence. The Zimbabwe Congress of Trade Unions, which called for three days of protests on Sunday, urged Zimbabweans to continue the demonstrations today. (Bloomberg) – Alrosa PJSC, one of the world’s top diamond miners, is returning to Zimbabwe after a more than two-year break as it expands outside Russia. 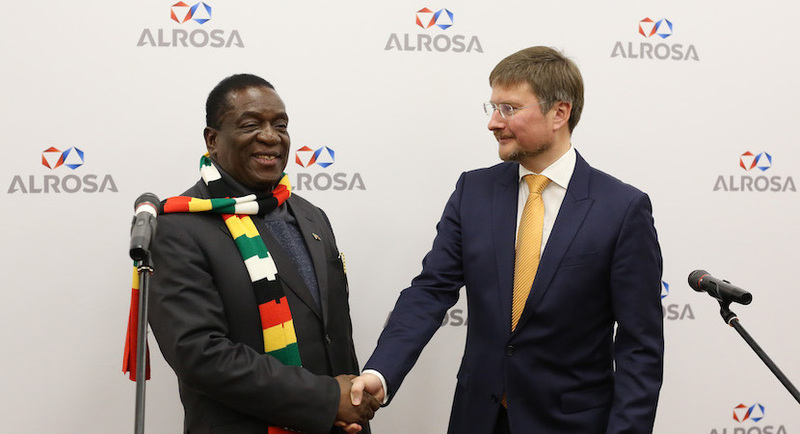 The company will develop new mining operations in the country with the support of the government, Alrosa said Monday as Zimbabwe’s President Emmerson Mnangagwa visited Moscow. The Russian producer opened an office in Zimbabwe last month, Chief Executive Officer Sergey Ivanov said at a press conference. Mnangagwa, who became president in 2017, sees diamonds as a key way to help revive Zimbabwe’s mining industry, which suffered years of decline under his predecessor Robert Mugabe. The government is considering waiving a rule that prevents foreign investors holding controlling stakes in its diamond mines. “We also seek to support Zimbabwe in the development of its diamond-mining industry in line with industry’s best practices,” Ivanov said in a statement. Geologists and mining engineers from Alrosa will arrive in Zimbabwe in the next month to start operations, it said. Despite the country’s diamond riches, no major producers operate there. Rio Tinto Group sold its stake in a project in 2015 and gem giant De Beers quit the country more than a decade ago. Alrosa stopped working in the nation in 2016, a few years after first studying assets there. Zimbabwe’s diamond production has tumbled in recent years as easy pickings at the once vast Marange diamond fields have been exhausted. Output is down almost 75% in the past five years, with the southern African nation now producing just a fraction of what Russia mines. Mining at Marange has also been opaque. After initial gem discoveries, there was a rush of artisanal miners, followed by groups led by closely held Chinese and South African companies. 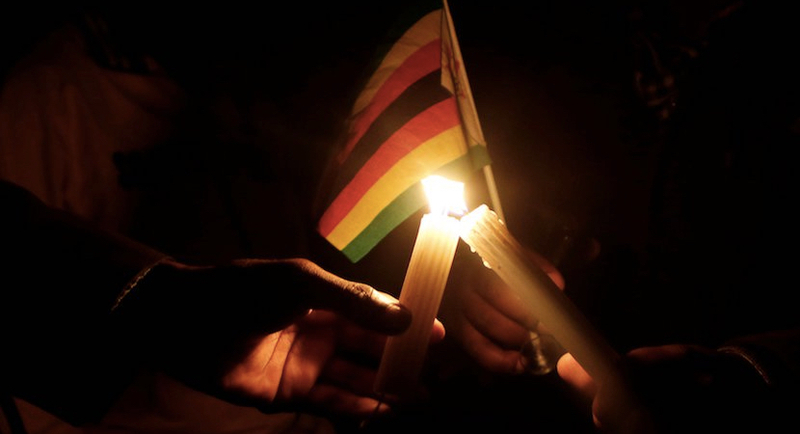 Human-rights activists have accused Zimbabwe’s military of smuggling gems out of the country and said that little benefit has gone to state finances. Alrosa has so far mostly focused on Russian fields, with its main overseas asset being a major stake in Angola’s Catoca mine, one of the world’s biggest. While producers such as Petra Diamonds Ltd. and BHP Group have long stopped operating in Angola, Alrosa also has plans to expand further in the country. Russia’s diamond resources at already working fields are expected to be fully exhausted by 2047, Natural Resources Minister Dmitry Kobylkin said in an interview with Interfax last month. So along with new studies in its home country, Alrosa has to look to Africa, he said.